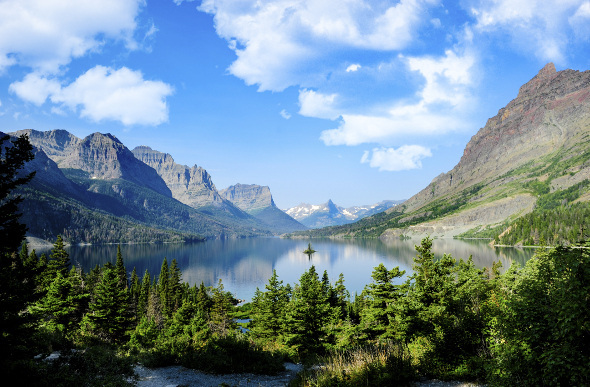 Spanning 27 states with more than 50 different preserved areas, the national parks in the United States are a collection of boundless natural beauty that range from the sultry wetlands of the Everglades to the craggy glory of some of the nation’s highest peaks. A veritable playground for those that thrive in the outdoors, these parks are so inspiring they’re sure to turn even the slickest of city slickers into a nature lover. * Indicates the park is free to enter. Camping or tour fees may still apply. Established in 1917, Denali National Park remains an unspoilt slice of wilderness that reaches across 160 miles of the Alaska Range. Home to 37 different mammal species and 130 bird species, wildlife encounters are common. Perhaps one of the park’s most impressive sights, though, is its imposing granite mountains with jagged peaks reaching high into the clouds. 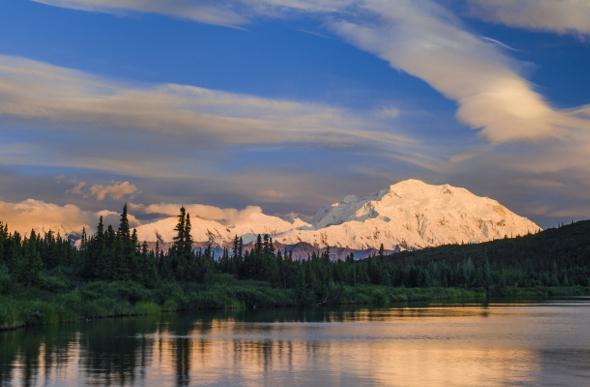 Highlights include Mount McKinley, dog sled tours and grizzly bear spotting. This national park needs no introduction. It’s known the world over as the home of the natural wonder that is the Grand Canyon, luring more than four million visitors per year to its scenic rims. 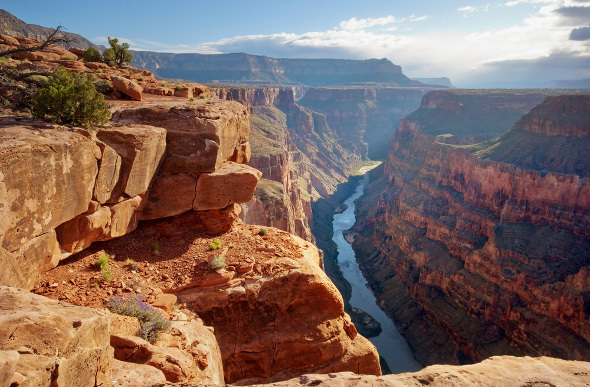 Created by the Colorado River, the canyon runs 277 miles with an average depth of 1,219 metres. The size is sure to impress, but it’s the colours that will dazzle. Rock stratifications that date back to the Precambrian times showcase layers of reds, yellows, greens and black across the canyon walls. Highlights include the Grand Canyon Skywalk, helicopter tours and any of the wilderness trails. 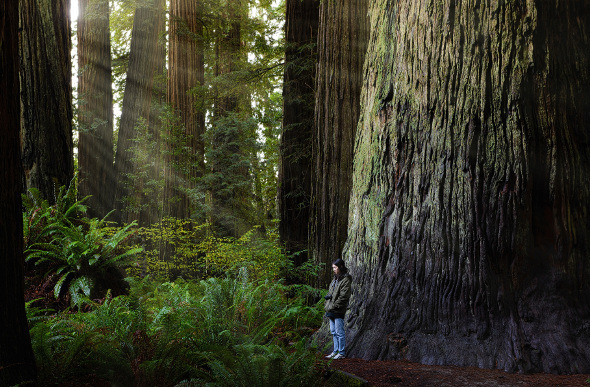 Stand among the earth’s tallest living things at Redwood National Park along California’s northern coast. Set out on one of the park’s meandering trails, leading through lush fauna with wisps of mist creeping along the base of these forest giants. Admiring the sheer height of these plants is a rewarding experience made all the better by hidden waterfalls and rare native wildlife. Highlights include Fern Canyon, Avenue of the Giants (including the drive-thru Chandelier Tree) and camping in the Redwoods. 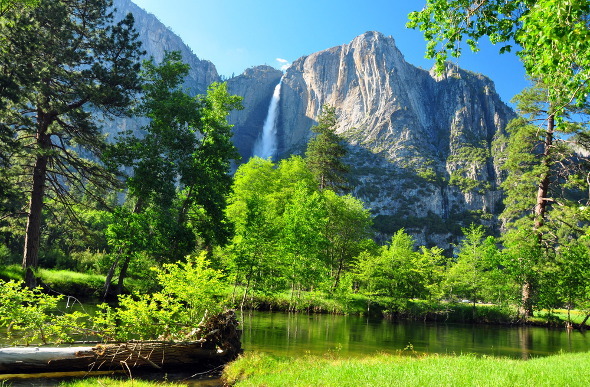 Perhaps California’s most famous national park, Yosemite’s beauty surrounds the majestic Sierra Nevada mountain range. Watch peregrine falcons soar over the sheer faces of notable rock formations, or feel the mist of crashing waterfalls that plummet from impressive heights. With nearly four million visitors per year, it’s one of the nation’s most popular parks. Highlights include Yosemite Falls, Half Dome monolith, Glacier Point and Tuolumne Meadows. 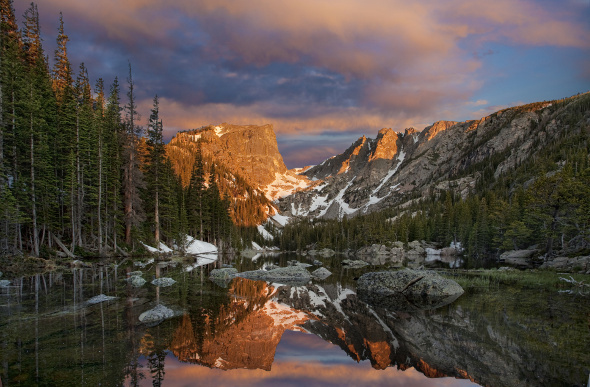 The Rocky Mountains are well known the world over for their jagged peaks and this national park was established in 1915 to protect their rugged beauty. The park has established a reputation for being a top spot for skiing and hiking, but did you know that it also offers up more than 100 mountain lakes and four different ecosystems? Highlights include the Continental Divide, Trail Ridge Road and star gazing at Upper Beaver Meadows trailhead. 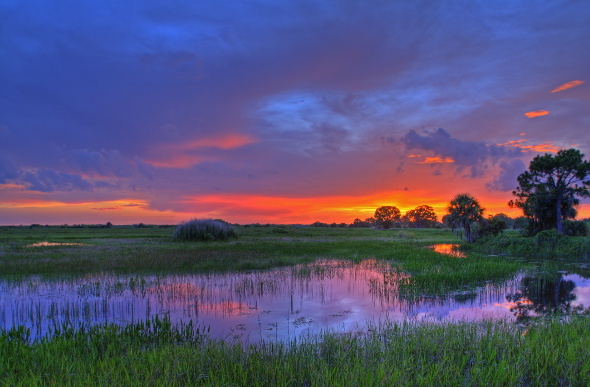 While most US national parks are established to preserve unique geological features, the Everglades National Park was established to preserve a unique ecosystem. It’s the third largest national park in the US and calls to approximately one million visitors per year. It’s also home to more than 350 species of birds, 300 species of fish, 40 mammal species and 50 species of reptiles. Highlights include Ernest Coe Visitor Centre, air boat tours and the Shark Valley Observation Tower. 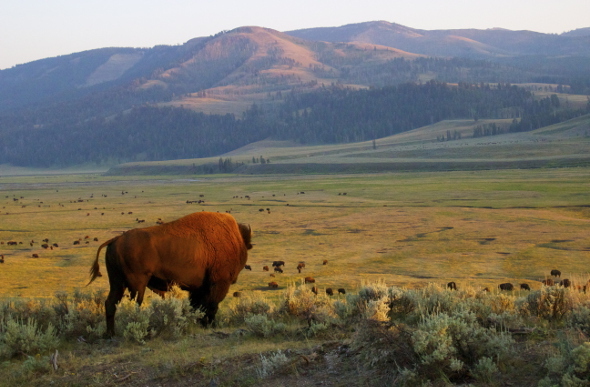 Being the world’s first national park, Yellowstone has garnered international fame. Within the US, it certainly stands out due to its combination of striking geothermal formations, incredibly beautiful mountain landscapes and its abundant wildlife. Highlights include Mammoth Hot Springs, Old Faithful Geyser, Grand Canyon of Yellowstone and swimming in Firehole River. One of the most beautiful national parks in the US, Glacier serves up an incredible landscape shaped by the glaciers of the last ice age. This includes pristine glacial lakes, deep U-shaped valleys and towering mountain peaks. There are 37 glaciers left in the park, 25 of which are still considered active. Highlights include the Going-to-the-Sun Road with a stop at the Weeping Wall, Red Jammers tours and fishing on any of the lakes. 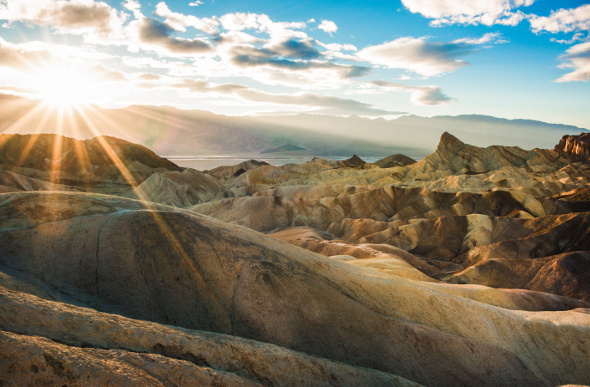 Far from being a flat and boring desert, Death Valley National Park is a diverse combination of salt flats, sand dunes, badlands, valleys, canyons and mountains all painted in the brilliant reds and yellows of the desert. The largest national park in the lower 48 states, it encompasses more than three million acres between the Great Basin and Mojave Deserts. Along with undulating vistas, the park is home to big horn sheep, cougars and mule deer. Highlights include wildflowers through the Spring, the salt flats of Badwater Basin and Dante’s View lookout. 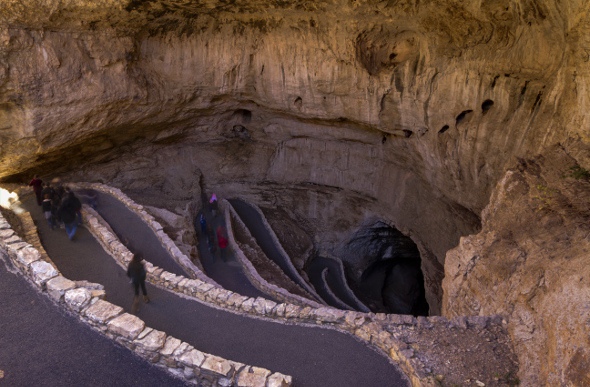 Unique from others on this list, Carlsbad is a national park that lies below the surface of the earth. Often described as one of the most ornate caverns ever discovered, it’s a subterranean wonderland filled with impressive formations that date back millions of years. Though more than 30 miles of caves have been discovered so far, tourists are limited to just three of those miles. Highlights include the Brazilian free-tailed bat colony, guided cave tours and the Big Room. 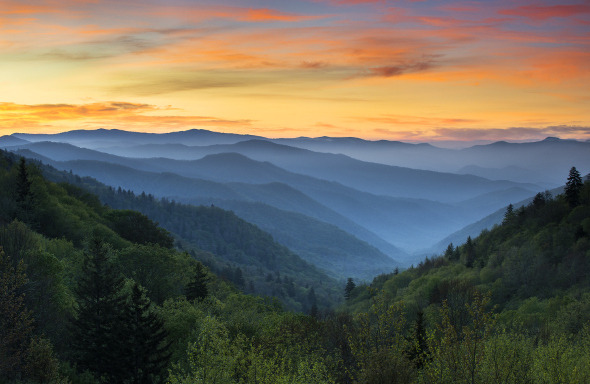 Did you know the Great Smoky Mountains National Park is the most visited national park in the US, drawing over nine million visitors per year? This is due in part to the Appalachian Trail, which passes through the centre of the park. It’s known primarily as being a superb destination for hiking with approximately 850 miles of trails through the park. Highlights include the preserved historic log cabins, barns and churches of Cades Cove, Sugarlands Visitor Centre and the Appalachian Trail. The deep blue waters of Crater Lake are the centrepiece of this national park. 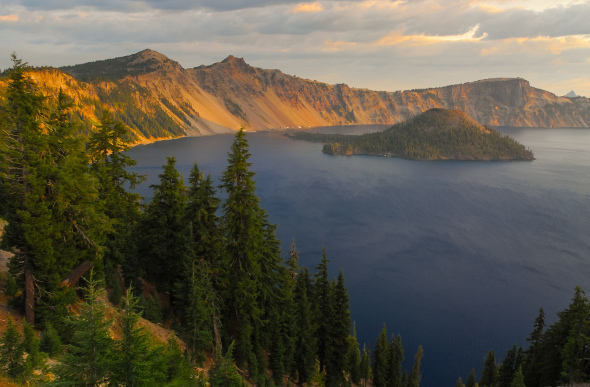 Created in the caldera of the now destroyed Mount Mazama volcano, it’s the deepest lake in the US and is surrounded by picturesque mountains and forest. It’s also home to a number of unique volcanic formations that add yet another element of intrigue for visitors hoping to explore. Highlights include the panoramic vistas along Rim Drive, the Pinnacles and boat tours through the lake. When it comes to amazing natural formations, you can hardly look past Arches National Park. This 76,000-acre stretch of land is home to more than 2,000 natural sandstone arches along with a sweep of other incredible formations. This includes the famous Balanced Rock and towering Dark Angel, all of which glow red against the blue sky for especially spectacular photo opportunities. 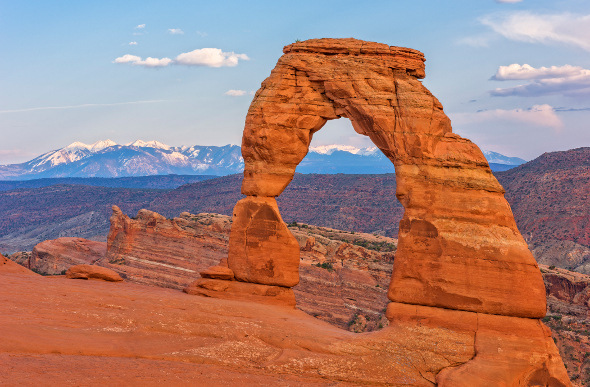 Highlights include the Delicate Arch, the Petrified Dunes and mazes of Fiery Furnace. Mount Rainer, a stratovolcano, casts an imposing presence over much of the state of Washington. It’s the fifth tallest peak in the US and is one of the main reasons why more than a million visitors flock to the park each year. 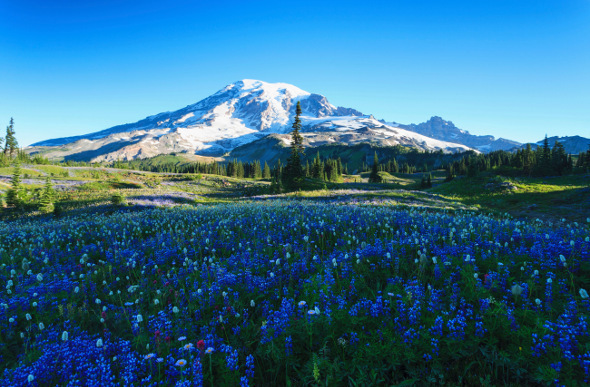 The glaciers, flower-covered meadows and forests aren’t too shabby either. Great for hiking in the summers and skiing in the winters, its appeal lasts throughout the year. Highlights include the meadows of Paradise, the views from Sunrise and the Wonderland Trail. This beautiful national park, on the boarder of Idaho and Wyoming, encompasses all the major peaks of the awe-inspiring Teton Range. Surrounded by thick pine forests, vast grassy valleys and crystal clear lakes, there is plenty to keep any outdoor enthusiast entertained here. Hiking, horseback riding, animal watching and camping are popular throughout the park. 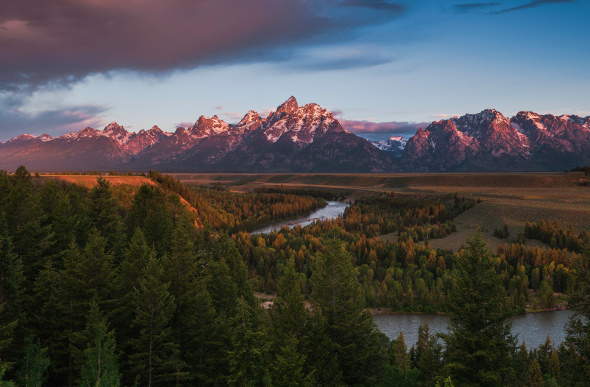 Highlights include day trips to Jackson, Wyoming, hikes to the Cathedral Group and watching for moose along the Snake River. Travelling is for discovering the unexpected. From fantastic meals in ramshackle joints to stumbling upon a best kept secret, I love those fortuitous travel moments that couldn't be planned if I tried.